Here is some Frosty Garden Green Tea in a largish ceramic mug from Artcraft Gifts, which has some pretty cool mugs. 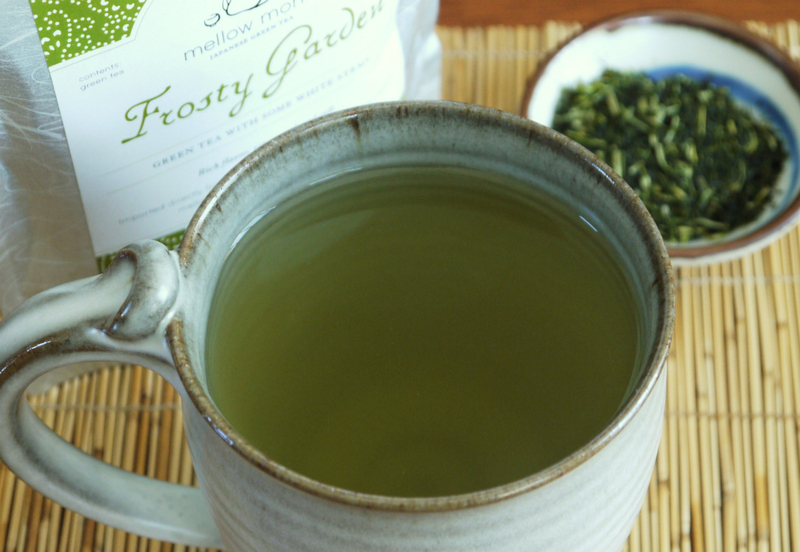 Frosty Garden is a shiraore, a green tea blended with some tea stems. Note that our shiraore is made with fewer stems that some — just enough to impart a natural smoothness, but without overpowering the flavor of the leaves.